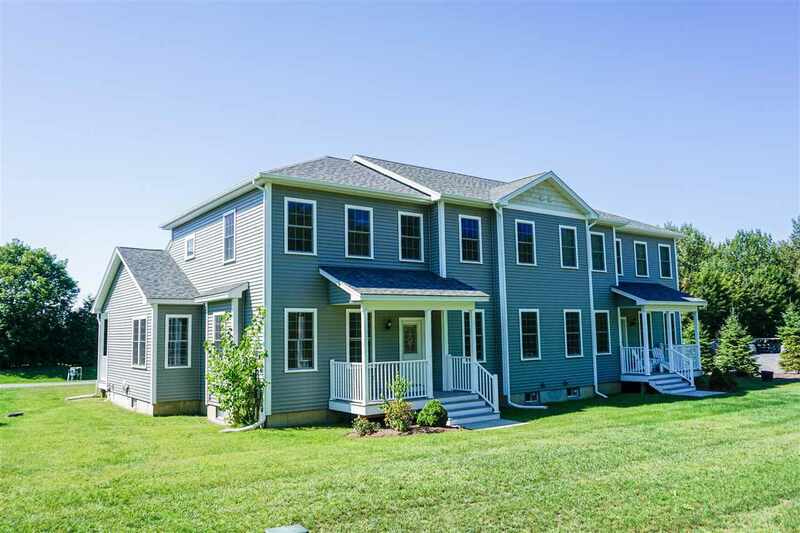 3 bedroom, 3.5 bath townhome with large landscaped yard, two porches and a two-car garage. Great location in Williston with easy access to town, I-89 and next door to the golf course. The large open great room and modern kitchen make for gracious living and entertaining. Gleaming hardwood floors throughout the 1st floor, high ceilings and great windows make it a bright and inviting space. The kitchen features warm wood cabinetry, granite countertops and large breakfast bar. The great room with kitchen and dining flow into the living room with front door to the covered porch. First floor master bedroom suite with walk-in closet and full bath with both a shower and tub. Second floor features a second master suite as well as a guest bath and third bedroom. Don't miss this great home! See virtual tour link above!